Nayano ~ Ipsalu Tantra Kriya Classes, Intensive Workshops, Osho Groups & Active Meditations : Founder of Urban Namaste ~ International Senior Teacher of Ipsalu International. I facilitate the advanced workshops and teacher certification trainings around the world. Whether facilitating an evening class or running an 8-day residential intensive, i feel profound gratitude to have the opportunity to share this path and live a life in service. My deepest sense of purpose and peace is when i am sitting on the floor with you. I have been teaching Tantra Kriya since 2002, a practitioner of the healing arts of massage therapy and energy work since 1996 and a Reiki Master/teacher since 1999. I created a series of healing workshops and processes, DEVELOPED from my own healing journey...some I describe as "dance therapy". As an Osho sannyasin, I traveled to India on three separate occasions to study and learn more about my path as a teacher. I resonate deeply with Osho's philosophy of non-dogmatic, self-mastery and living with totality, honesty and full heart. I feel intensely that my purpose as a teacher is to support others in becoming more alive, awake through living their truth and purpose. 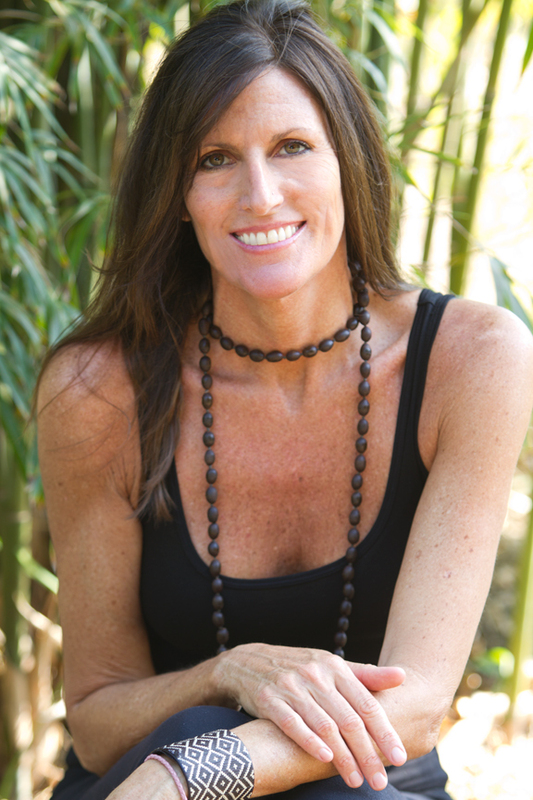 Paty Renda ~ "Beyond Yoga" classes Paty Renda is a journalist, translator and writer as well as a 200 hr certified Aananda hatha yoga teacher and Vedic Thai Bodywork practitioner. Although yoga has always been present in her life, her professional path started only when she moved to the US and received her first training as a Yoga Fitness instructor and Nutrition consultant. She has been teaching yoga for about 12 years and throughout this time she has had the pleasure to study with many great teachers in the country. 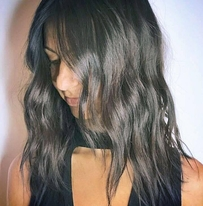 Paty worked as a trainer for the Yoga Fitness certification, taught seniors, mommies and babies, powerful yoga classes as well as restorative yoga classes. 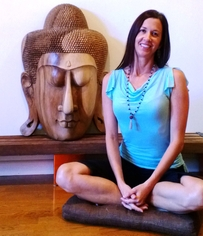 Besides being a certified Aananda Yoga Teacher, she also holds certifications from Baby Om Yoga, Kids Yoga, Seniors Yoga, Vedic Thai Yoga Bodywork and Yoga Nidra meditation. Her wish is to make yoga playful, relaxing and appealing to every person in the world. “One person at a time” is her goal. Paty’s latest creation is The City Goddess Project, a brand new organization that focuses on enhancing women’s lives through fun sharing of knowledge. Her Belly Dancing Yoga Class – a combination of dance movements, yoga asanas and meditation – improves self love and offers empowerment within a loving environment for women of all ages and bodies. Paty is also a trainer at the Aananda School of Yoga, where she shares her passion for yoga and her knowledge of all yoga aspects. As a teacher, student and trainer, she hopes that yoga will transform people’s lives as it has transformed hers. 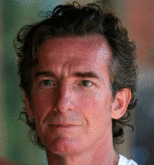 Benicio Farina is a Relationship and Forgiveness coach, Breathwork teacher-trainer, and co-founder of South Florida Breathwork Nine month personal development and trainer program called 9 Leaps Home, with Lori Reyes. Currently, he is working on his certification as Ontological Coach and as accredited Professional Certified Coach with the International Coach Federation. He has been in private practice for over 16 years. Since being introduced to Kundalini Yoga in the 70’s, Gary’s spiritual journey has always revolved this profound practice brought to the west by Yogi Bhajan. Out of the desire to share this transformative experience with others, he became a certified teacher in 2006. He is continually amazed and humbled to see the immediate positive results this practice has on people. He also loves teaching the Y.O.G.A. for Youth program, which brings the tools of Kundalini Yoga to children in foster homes, juvenile detention centers and other at-risk populations. At this time with the entire world in need healing, he is grateful to be able share these blessings with humankind. In his spare time he can be found in, on or near the beautiful Atlantic ocean. About Aananda Yoga School ~ Surendran Pandaran ~ 200 hr YA Teacher Training Certification In 1982, living in New Delhi, India, Surendran become more involved with Yoga and was a regular practitioner at the local branch of Sri Aurobindo Ashram. He also learned Transcendental Meditation at that time. 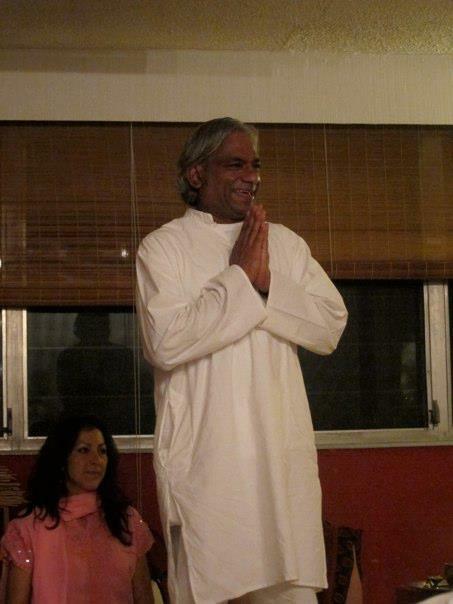 In 1985, he completed a Yoga teacher-training course from “Kaivalyadhamma Yoga Samiti.” In 1987 he moved to USA. While living in New York City, he was involved with a local Iyengar Yoga studio, attending classes and other workshops and often commuted to Swami Muktananda’s Siddha Yoga Ashram in South Fallsburgh, upstate New York. In 1999, he completed Sri Naranda Yoga Teacher Training Course, in Fort Lauderdale, Florida.In India, he studied yoga at Sivananda Ashrams both in Kerala and Rishikesh. Later, at the Yoga-Vedanta Forest Academy in Rishikesh, he completed their Vedanta course. He also studied at the Yoga Institute of Mumbai and Yoga Niketan in Rishikesh. Presently, he is registered with Yoga Alliance as an Experienced 500 hour Yoga Teacher. Aananda, Inc., of which he is President, is also registered with Yoga Alliance to conduct 200-hour Yoga teacher training programs. Aananda, Inc. has been conducting Yoga Teacher Training programs for the last 12 years and so far graduated over 300 teachers. Bhaskar ~ Kirtan with local musicians Bhaskar was introduced to chanting as a devotional path upon meeting his guru, Swami Muktananda, in 1976. Since that time, he has immersed himself in the richness of devotional chanting both through daily practices and by leading chanting groups in ashrams and centers throughout New England and South Florida, where he currently resides and leads monthly Kirtans at Urban Namaste Spiritual Center. For 20 years, Bhaskar also sang, toured, recorded with and, on occasion, conducted “On Wings Of Song”. He has also sung in and conducted choirs in Massachusetts and Florida, including The Halalisa Singers, The Mystic Choral, Hope Community Church Gospel Choir, and Unity on The Bay Gospel Choir. Bhaskar’s chants are celebratory in nature. As a long standing Bhakti Yogi, he chants with a love for God that simultaneously awakens and satiates one’s yearning for connection with the divinity that is around us and expresses through and as us. Language(s): English Avinash brings over 30 years of experience as a meditator, and facilitator in the spiritual inquiry process. 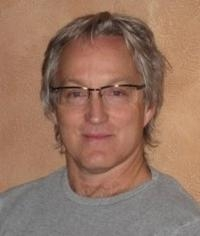 He is the co-founder of the Osho Leela Center For Transformation in Boulder, Col and has experience over a wide range of transpersonal therapies and self exploration modalities, including Breath Energy, NLP, Primal Therapy, Somatic Experience Trauma Work, Conscious Counseling and Relationship. He has been involved in the Path of Love for over 12 years. 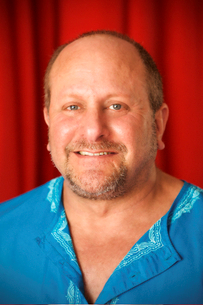 Languages: Spanish, German, English Educated as an Osho therapist, has been trained in numerous techniques, such as “Voice Dialogue” (working with internal voices), Primal Deconditioning, Emotional Release, Bio Energetics, Body Type reading, Co- Dependency, Enlightenment Intensive work, and Tantra Energetics. His work reflects many years of self-inquiry, and radiates a heart-felt, compassionate, deep understanding of personality and essence. Born in Argentina, Roshan now lives in Costa Rica and Germany. We are grateful to have him as a visiting teacher, and forever part of our family. 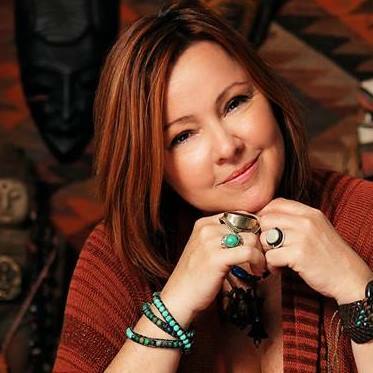 Debra Kelly ~ Shamanic Sound Journey & Meditation Debra is a Shamanic Practitioner, Facilitator of Transformation and Licensed Massage Therapist. From Debra: My work in the world is about Awakening to the Inner Healer. Much of my energy is channeled in community to bring greater awareness of the tools each of us is inherently gifted with. my quest to align with Spirit has been enriched through the art of ceremony and the path of Shamanism. I feel most at home sharing in Ceremony, apprenticed by the unseen realms. i have learned to become an open and clear vessel for the teaching that have come through that allow for deep healing. Ceremony, ritual and sound have played the most influential part in the awakening of my path as a modern day medicine woman, it carries a code and language that i understand from an instinctual level beyond logic, connecting to a deep remembering and vision that reveals through my work and sharing. We gather in circles to work with teachings from many traditions in the form of ceremony and to connect with our greatest teachers - our earth mother, her mineral, plant and animal kingdom, the sun, moon and stars. As we remember how to connect with these energies and the wisdom of this ancient, powerful and once universal knowledge, we gently and lovingly enter back into right relationship with Gaia "the mother of us all" & experience a sense of Spiritual Community & Oneness with all of life. 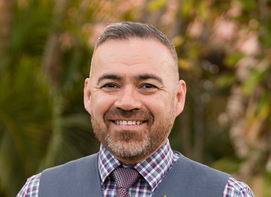 Alonso Marquez ~ Sound Healing Meditation Using sound as his vehicle, Alonso conducts healing ceremonies using a combination of crystal quartz bowls, natural elements and vocal tones, guiding individuals into self-harmony and a rebirth to the senses. Supported by Andean teachings and yogi methodology, his work reflects a journey where beauty and the heart go hand in hand, even in the chaotic energy of the city. Participants effortlessly reach a level of awareness & relaxation making room for self-improvement and realization.